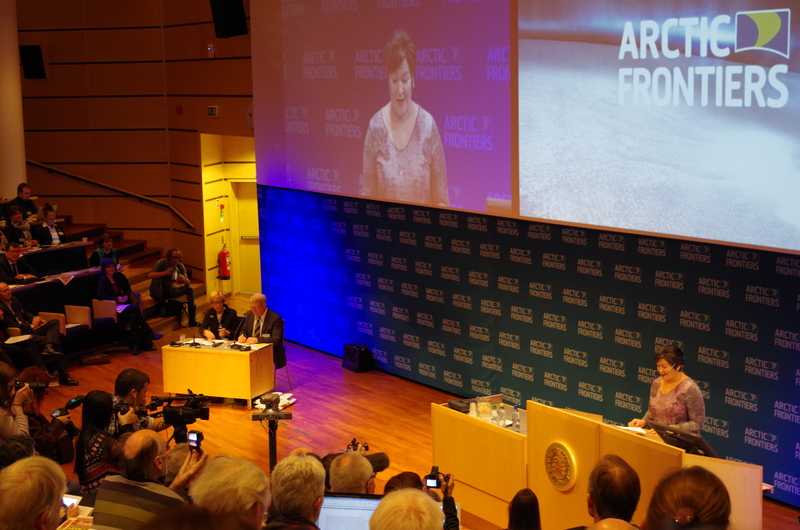 Greenland’s former prime minister Aleqa Hammond addresses attendees at Arctic Frontiers, January 2014. © Mia Bennett. Yesterday morning, mining company Rare Earth Minerals (REM) announced that it had discovered rare earth minerals within its licensed areas near Narsarsuaq, in southern Greenland. Listed on the Australian stock exchange, REM is one of several companies from Down Under investing in mineral exploration on this Arctic island. REM’s four exploration licenses in Greenland are in close proximity to Greenland Minerals and Energy Limited’s (GMEL) Kvanefjeld project, perhaps the country’s biggest and most promising rare earth minerals site. GMEL, too, is Australian. Thanks to all of the mining that has taken place in the red, sandy deserts of Western Australia, numerous companies have developed expertise that can be applied as far away as the Arctic. Neodymium oxide is used to make lasers and colored glasses, such as sunglasses. That means that in the future, beach-goers at more southern latitudes could be looking through a little bit of Greenland as they watch the warm waves crash on the shore. But due to the political crisis rocking Greenland, that day has slipped further into the future. Just a year and a half ago, the Siumut party cruised to victory following an election dominated by the mining issue and the question of whether to import thousands of foreign workers. After winning a close (15-14) vote in Parliament last October to overturn the ban on uranium mining, Siumut and its coalition partner, Atassut, fulfilled Prime Minister Aleqa Hammond’s promises to promote the extractive sector. Two ministers from her own party, including the mining and natural resources minister Jens-Erik Kierkegaard, and two ministers from the Atassut party also resigned. The parliamentary coalition has collapsed, as many members of Atassut have now sided with the opposition party, Inuit Ataqatigiit (IA). Kierkegaard was supposed to travel to China to meet with investors, but that trip has now been cancelled. Siumut party member Kim Kielsen, Minister for Nature and the Environment, has stepped in as acting prime minister. Greenland will now hold elections on November 28. Greenland’s political instability makes it risky territory for investors from all corners of the world. As I’ve stated before on this blog, however, political instability – whether in Russia or in Greenland – is often good news for environmentalists, since developmental interests shy away from tumultuous investment grounds. While REM’s press release does not mention anything about the political tumult in Greenland, it’s sure to be preoccupying the minds of the company’s board members. Sara Olsvig, the leader of IA, wants to revisit the uranium mining question with a nationwide referendum to make sure that all people’s voices are heard rather than just those of parliamentarians. If the people of Greenland vote to reinstate the ban, that could jeopardize certain agreements that the Greenlandic government has already made with several mining companies. 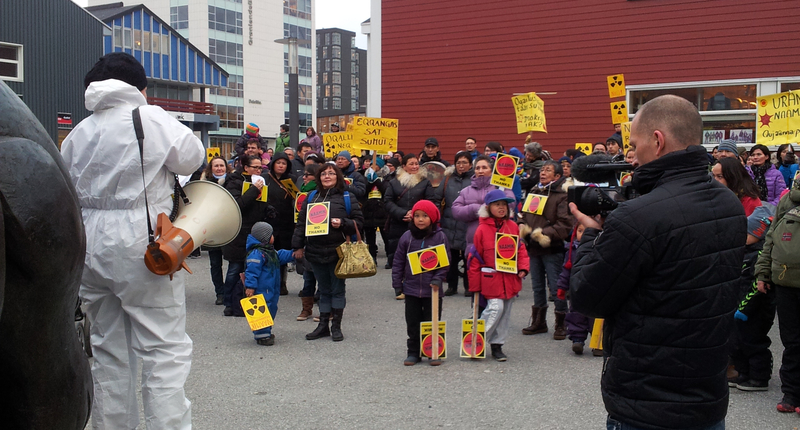 Never too young to get involved: protestors in Nuuk gathered outside parliament last October to fight overturning a ban on uranium mining. Photo courtesy © William Davies, 2013. A referendum would likely attract a lot of public debate in Greenland, where political involvement is already high. 74.2% of eligible voters participated in the 2013 elections. Earlier this month, before Hammond officially stepped down, 600 protesters called for her resignation outside parliament in Nuuk. In a city of about 16,000 people, this represents close to four percent of the population. Imagine an equivalent in a place like London, where the population tops 8 million. This would mean some 316,000 people outside 10 Downing calling for David Cameron’s resignation – numbers that are hard to imagine. The average person in Greenland might be more invested in politics than the average Westerner because what gets decided in Nuuk can instantly have a bigger impact than it might in, say, the United States, where new policies have to filter down through numerous bureaucracies. In a place where you can walk down the street and run into the (now former) prime minister, who the local newspaper simply refers to by first name, there’s no such thing as high politics. Instead, they’re part and parcel of daily life. A hunter I encountered in Kangerlussuaq this past summer complained about the government policy first implemented in 2013/2014 prohibiting winter and spring hunting. Whereas such a regulation in the U.S. might only affect a small proportion of the population, in Greenland, where ten percent of the population is directly or indirectly employed by the hunting sector, such a seemingly arcane decision exerts a much bigger impact. Scale up such policy debates to the level of rare earth mining, and you have a much bigger issue on your hands with the potential to affect quality of life and the pursuit of traditional livelihoods for a great deal more than 10 percent of the population. Mining questions aside, the political tumult is already affecting the ability for Greenlanders to plan for next year. 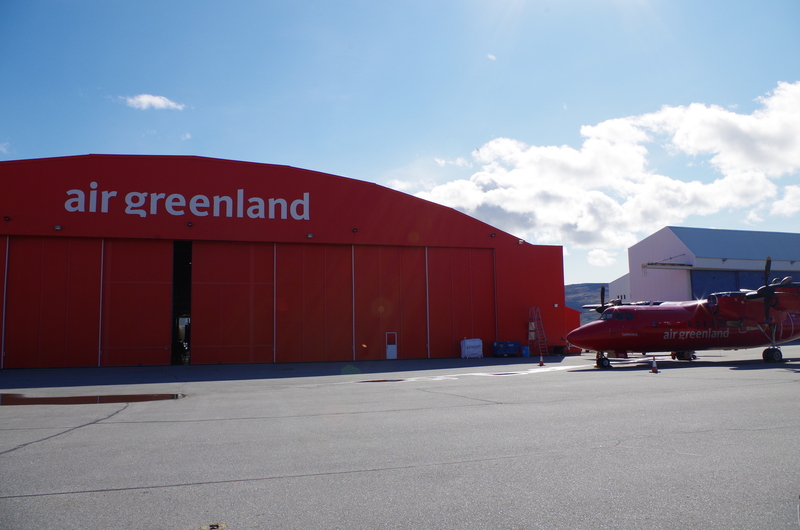 A decision on whether to operate the summertime Air Greenland route between Iqaluit and Nuuk in 2015 will be up in the air until after the election, according to CBC. The airline needs politicians in both cities to commit to buying seats in order for the route to be financially viable. Worse yet, ten other domestic Air Greenland routes have yet to be confirmed for next year, as they depend on government subsidies that have not yet been decided. In a country with no roads in between communities, these air routes are often the only way of getting around, even between locations that are close to each other as the crow flies, like Sisimiut and Kangerlussuaq. Boats and ferries offer an alternative, but they are slower and not always available due to weather conditions. In short, Aleqa Hammond’s decision to fly her relatives around the world could render it impossible for many in Greenland to take a short plane ride to see their own relatives nearby. Up to ten Air Greenland routes are up in the air pending government subsidies, which cannot be decided until after the November 28 elections. Photo: © Mia Bennett.